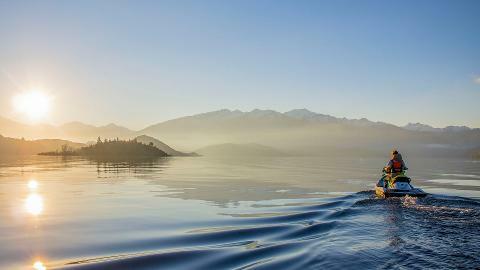 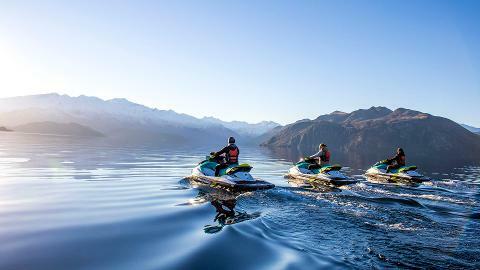 Enjoy a jet ski tour exploring all the stunning bays, islands and alpine scenery showcasing the beauty Lake Wanaka has to offer from a different perspective. 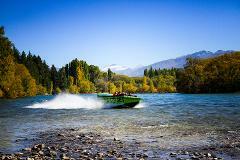 Come alone or with your partner, family or group of friends to enjoy one of the most fun moments of your Wanaka visit. 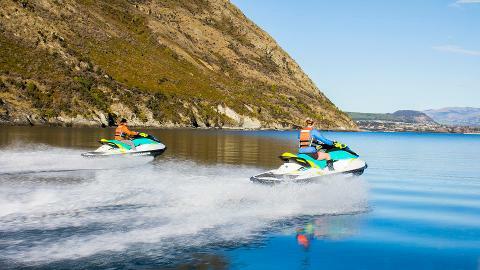 Release your adrenaline driving our stylish jet skis at your own pace. 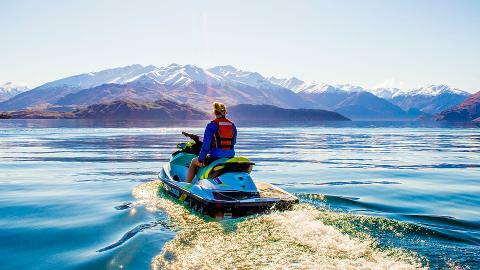 Whether you have experience or are driving a jet ski for the first time, this excursion is adaptable so you can enjoy the greatest experience whatever your skill levels. 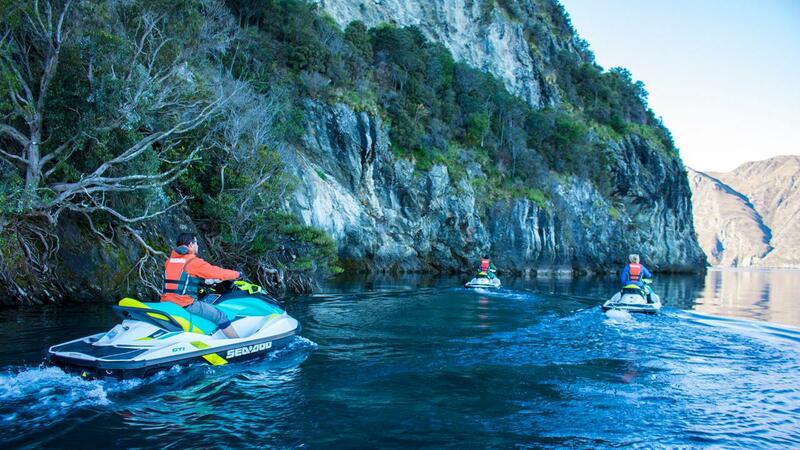 For the thrill junkies there will be plenty of play time with plenty of space, and for our nature lovers there are plenty of photo opportunities along on 40km tour of both alpine scenery, crystal clear waters and native islands. 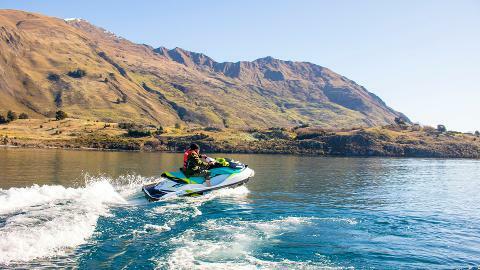 Wanaka Jet Ski Tours is the ultimate Lake Wanaka experience. 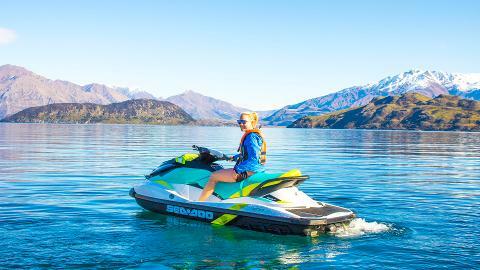 We hope that you will leave with the sensation of having spent one of the most entertaining and unforgettable moments of your holiday in Wanaka.